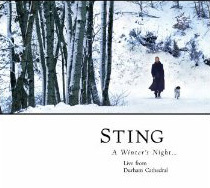 Here are a few clips from Sting's concert, On a Winter's Night. You can enjoy the whole concert on DVD. The CD on which the concert is based is here. Better yet, you can download and listen now in MP3. Children's perspective on the Christmas story. There was a sense of glory I had watching this that made me think of when King Jesus suddenly returns and we are surrounded by all the saints and angels singing His praises. We are always surrounded by them, I believe, but on that day we will be much more immanently aware of it. Here is a link for learning more conversational Hebrew, including greetings, prepositions, questions, colors, days of the week, months of the year, and numbers. Also, Hebrew words that are useful for shopping, dining and in first aid emergency. Much more. Very helpful. Imagine reading my books on your iPad, iPhone, Kindle, Kobo, Nook or smartphone. Because you don't just have to imagine it ~ you can do it. All our books are now available in ePub, Kindle and PDF here. Apps are available for iPads, iPhones and smartphones to read all these formats. Books in 60 Seconds ~ Even in Bright Sunlight! Amazon has been advertising for a while about how, with the Kindle reader, you can download books in 60 seconds (over their free 3G wireless network). It also has a long battery life (up to one week on a single charge). It also now reads PDFs (that's a new feature, I think). 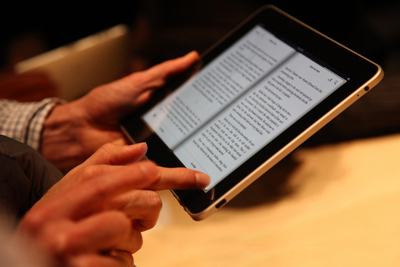 And the Kindle books are also accessible on the Kindle apps for iPad, iPhone and other smartphones. But here is where they stand out from iPad, and what they highlight in the video below: They are easy to read ~ even in bright sun light! You can find out more about it here (they've just cut the price to $189). BTW, did I tell you that all my books are now available in Kindle? Yeah, and if you have a Kindle reader (or a Kindle app for your iPhone or iPad), you can be reading them in 60 seconds. Below are a few words of conversational Hebrew. 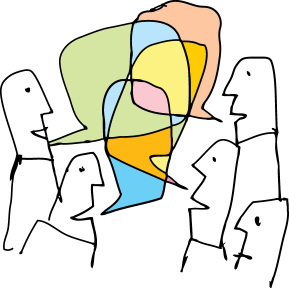 For more, you can download this English-Hebrew Conversational Guide, offered by Hebrew Online. They also have a blog with items of interest concerning Israel, as well as more Hebrew vocabulary. Music from Israeli artist, Itay Pearl. In Hebrew, which, as you know, I am learning. Very nice stuff here. First heard it on Jewish Soul Radio. Just got this in the mail today. Looks good ~ 330 in-depth articles on Hebrew roots, plus their derivatives, so it covers thousands of Hebrew words found in the Old Testament. It is helpful to know some Hebrew, but not essential because this lexicon is keyed to Strong's numbers. 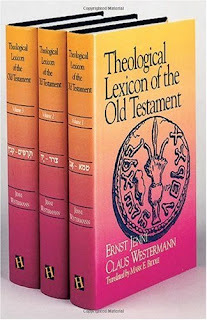 I have found the companion New Testament lexicon to be very helpful, so I look forward to using this one. The price is very good, too ~ this 3-volume set is available at Amazon for just $39.95. Here are some handy memory aids to help me learn Hebrew. Just came in from Amazon yesterday. Old Testament Hebrew Vocabulary Cards ~ Yes, the old reliable flash card system. Used it when I was learning English as a kid. Using it now as I learn Hebrew. This set (1000 cards) not only includes the Hebrew words and the their meanings in English, but also grammatical usage, verb forms and frequency of usage in the Old Testament. 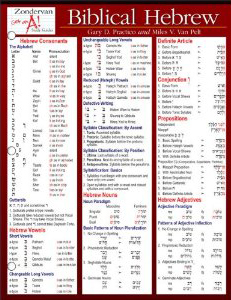 Biblical Hebrew Laminated Sheet ~ This is a handy reference sheet for the various aspects of Hebrew alphabet and grammar: the consonants, vowel letters and vowel points, forms of the definite article, conjunctions, prepositions, adjectives, pronouns, construct chains, verb conjugations and, of course, the forms of the seven verb stems. (I'm expecting that, at some point, this will all start coming together for me). This is a durable laminate sheet and is actually four pages (an 11x17 sheet folded in half). I will be keeping this very handy, as I quite sure I will need to refer to it often. BTW, both of these aids are keyed to Basics of Biblical Hebrew Grammar by Gary D. Pratico and Miles V. Van Pelt. I already have one grammar I am using, but I expect I will probably also get this one as well. There is also a website related to this grammar and these aids that has some other resources, including some free downloads. Here is a stunning photograph from the Hubble space telescope. 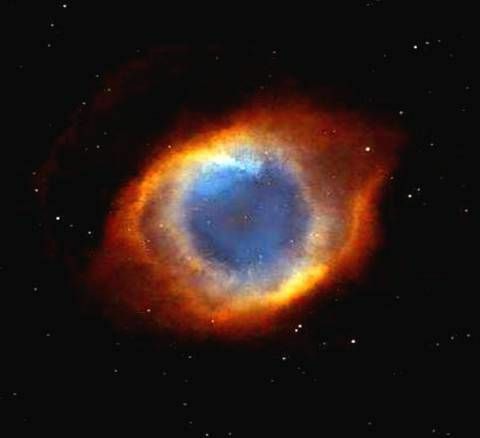 It has been called, for obvious reasons, the Eye of God. Forty days after the Resurrection, Jesus ascended to His throne at the right hand of the Father, where He rules and reigns forever. Oh, clap your hands, all you peoples! Shout to God with the voice of triumph! He is a great King over all the earth. And the nations under our feet. The excellence of Jacob whom He loves. The people of the God of Abraham. I've got the Hebrew alphabet (actually, the Aleph-Bet) down now, along with the vowel points and am able to read and pronounce Hebrew words. My Hebrew vocabulary is growing and so is my understanding. I am also learning about the language. There are plenty of tools and resources available online and I am soaking up as much as I can as fast as I can (which, I realize, actually says nothing about how fast and how much I can soak it all up). I am exploring the language and having fun. There is some fascinating material at the Center for Biblical Hebrew, with numerous videos, articles and other resources, as well as some interesting music — the letters of Hebrew texts translated as musical notes. From there, I picked up a few links to some fun learning tools. One is Hebrew for Me, which has some interactive gadgets to help me learn Hebrew words and numbers. Another is Hebrew Keyboard Tutor, to help me learn the placement of Hebrew letters on the Qwerty keyboard. Lately, I've returned to learning Biblical Hebrew, and I came across this great site, Hebrew4Christians, which looks like it gets into the grammar pretty well in addition to providing other fascinating information about the language. Also, WikiTravel provides a handy little online Hebrew phrasebook for those planning a trip to Israel. Getting back to learning biblical Hebrew. Come join me. Found some great aids on YouTube. 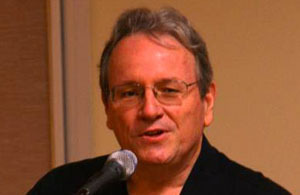 These are very helpful videos by Norman Willis, who has a rich voice and clear enunciation. Aleph Bet. The Hebrew alphabet. Aleph Bet Vowel Points. These are sort of the training wheels for learning to read and pronounce Hebrew words. The Patriarchs. Learn to read and pronounce the names of the Hebrew patriarchs and their wives. The Twelve Tribes. Learn to read and pronounce the Hebrew names of the twelve tribes of Israel. The Books of the Torah. Learn to read and pronounce the Hebrew names of the five books of the Torah. The Books of the Prophets. 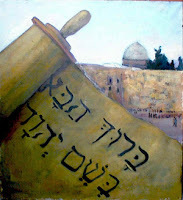 Learn to read and pronounce the Hebrew names of the prophetical books of the Hebrew canon. The Books of the Writings. Learn to read and pronounce the Hebrew names of the "writings" in the Hebrew canon. 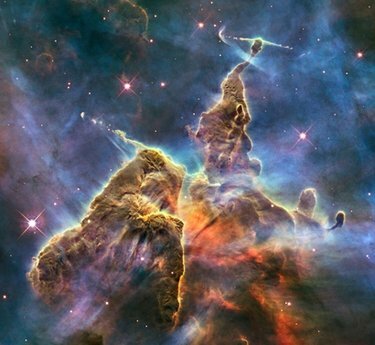 What does this photograph of a 3-light-year tall cloud of gas and dust, taken by Hubble, look like to you? To me, it looks like a warrior on horseback ready to throw a spear at an attacking lion. 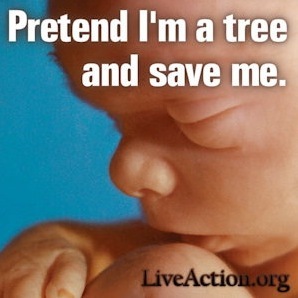 Dennis Prager is a very lucid and insightful thinker. The midpoint of this clip, which YouTube displays here, is rather unfortunate, catching Tom Wright awkwardly midblink, but the content is very good. Here's a new CD by my brother Gary (Garrison Doles). House of Prayer, from his "chapel songs" series. My favorites on here are "Jonah's Prayer" and "Patrick on the Water." Ordered a new batch of books from Amazon today. Looking forward to getting them and start digging in. Yeah, I'm a book guy. I like to read 'em, write 'em and even design 'em.